Find some great events and activities to attend this weekend in Greater Des Moines. Catch some sporting events like the Principal Charity Classic or The Drake Relays. 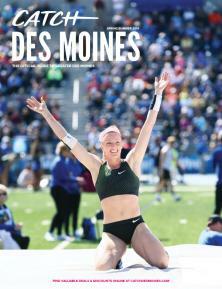 If sports aren&apos;t your scene head out to some arts events like The Des Moines Art Festival or attend The Des Moines Symphony. For the foodies in your life a weekend at the farmers market can be pretty relaxing or checking out food and drink events could be what interests you. Wherever your weekend takes you, be sure to check out the event calendar to stay up to date on what&apos;s going on.